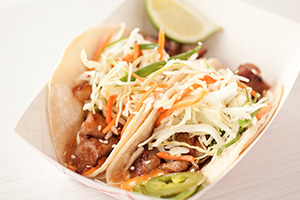 Marination’s Hawaiian-Korean cuisine melts delicate heat and the flavors of aloha together in your mouth. Come see us at one of our 5 locations and taste our award-winning food for yourself! Bust out the aloha for your next big event- catering is available from all Marination locations including the truck!